Theoretical knowledge is put to test only when it is applied to practical situations. 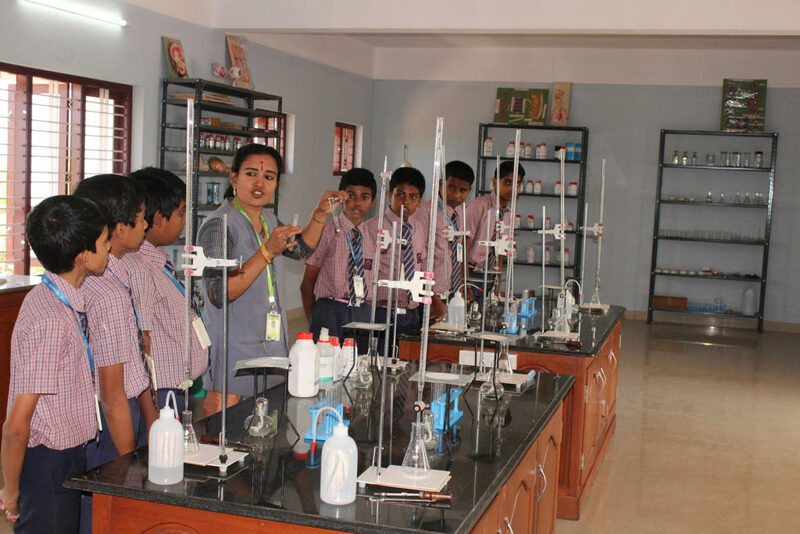 Hence, the need of the hour is well-equipped Laboratories for each of the subjects taught in the school. We offer the following laboratory facilities for practical work. We have well equipped and spacious science lab with all modern utilities and Real models of all the possible science terms are present . It also includes a creative and innovative hall for the students to increase their aesthetic skills and to stimulate their minds towards new innovations. The science lab mainly focuses to fulfill the scientist dream of the children. We have maths lab with all modern equipments. The Mathematics lab creates avenues to apply mathematical principles to solve real world problems through specially designed tasks. The Mathematics lab is designed to develop and promote student’s problem solving skills. Lab exercises are meticulously designed for each class, which are administered by experienced teachers and students can engage in cooperative experiences.